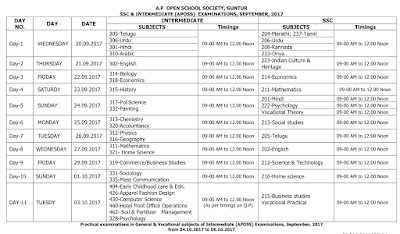 Intermediate (APOSS) Public Examinations, September, 2017.
i. 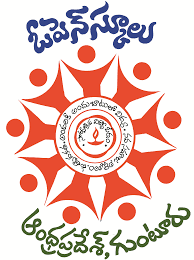 The candidates who have enrolled during the academic year 2016-17 and appeared for the exams but failed. 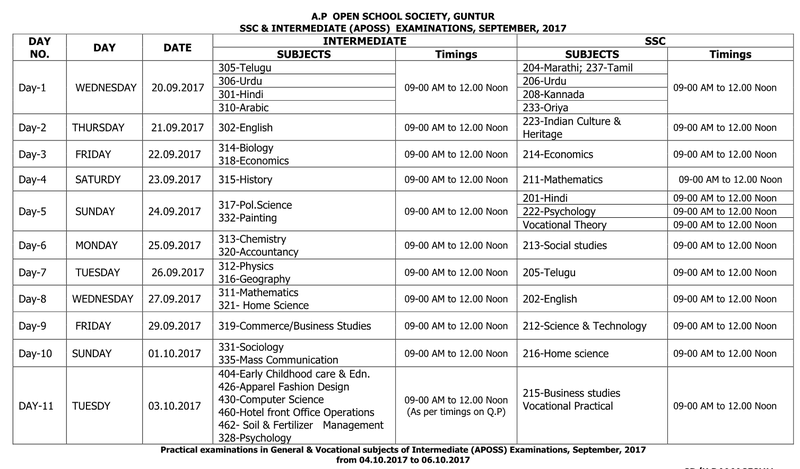 SSC(APOSS) Public Examinations, September, 2017.